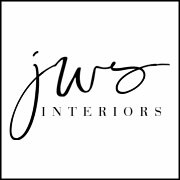 In the past you’ve seen me write about leather and faux leather kitchen/dining room chairs and how great they are with kids. We all know that kids are messy and having the ability to simply wipe down a chair without a second thought is well… what we all want! 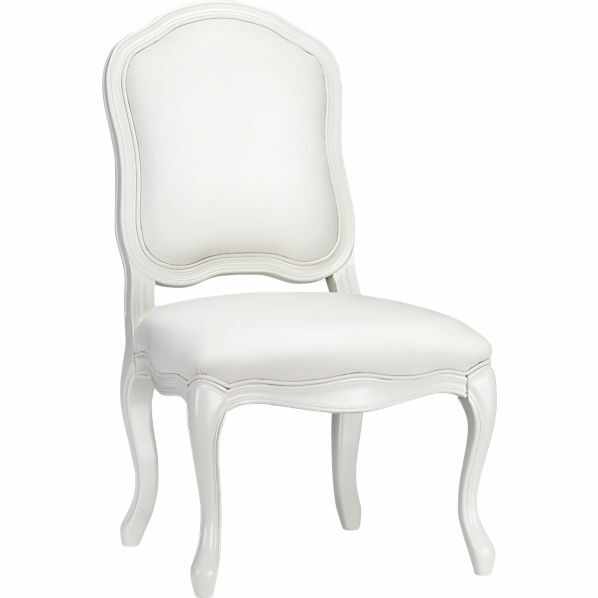 So, I found a beautiful white (and they have charcoal too) faux leather dining chair that could work in just about any space. Check out CB2’s “Stick Around Side Chair” created by husband and wife TV reality design stars –The Novograz’s ! Wow, fantastic blog format! How lengthy have you ever been blogging for? you make blogging glance easy. The full glance of your website is magnificent, as smartly as the content! Can I just say what a reduction to search out somebody who really knows what theyre speaking about on the internet. You undoubtedly know methods to bring a problem to gentle and make it important. More people must learn this and understand this aspect of the story. I cant consider youre no more in style because you undoubtedly have the gift. Great goods from you, man. I have understand your stuff previous to and you’re just too wonderful. I really like what you’ve acquired here, really like what you are stating and the way in which you say it. You make it entertaining and you still care for to keep it wise. I can’t wait to read much more from you. This is actually a tremendous website. Youre so cool! I dont suppose Ive read anything like this before. So good to find someone with some unique thoughts on this subject. realy thank you for beginning this up. this web site is one thing that is needed on the net, somebody with a little bit originality. helpful job for bringing one thing new to the web! Hello very cool site!! Guy .. Beautiful .. Amazing .. I’ll bookmark your website and take the feeds also…I’m satisfied to seek out a lot of helpful information right here within the publish, we’d like work out extra techniques on this regard, thank you for sharing. . . . . .
It’s in point of fact a great and useful piece of information. I am satisfied that you just shared this helpful info with us. Please keep us informed like this. Thank you for sharing. hello!,I love your writing so much! share we communicate extra approximately your article on AOL? I require a specialist in this space to resolve my problem. May be that’s you! Having a look ahead to peer you. Greetings from California! I’m bored to tears at work so I decided to check out your site on my iphone during lunch break. I enjoy the info you present here and can’t wait to take a look when I get home. I’m shocked at how quick your blog loaded on my cell phone .. I’m not even using WIFI, just 3G .. Anyhow, superb blog! Hiya! I just wish to give an enormous thumbs up for the good information you have here on this post. I will probably be coming back to your blog for more soon. Greetings! I’ve been following your site for a while now and finally got the courage to go ahead and give you a shout out from Lubbock Texas! Just wanted to tell you keep up the excellent work! Thank you for every other informative web site. Where else could I get that type of info written in such an ideal approach? I’ve a venture that I am simply now working on, and I have been at the glance out for such information. I do enjoy the manner in which you have presented this specific problem plus it really does supply me personally a lot of fodder for consideration. On the other hand, coming from just what I have witnessed, I simply wish as the responses stack on that people today keep on issue and don’t start upon a tirade of some other news du jour. Still, thank you for this outstanding point and although I do not agree with it in totality, I respect the point of view. Helpful information. Lucky me I discovered your web site accidentally, and I am shocked why this twist of fate didn’t happened in advance! I bookmarked it. I do love the way you have presented this specific challenge plus it does indeed give me personally a lot of fodder for consideration. Nonetheless, from what precisely I have witnessed, I simply wish when the actual responses pack on that folks continue to be on point and in no way start upon a soap box involving some other news of the day. Anyway, thank you for this excellent piece and while I can not really concur with it in totality, I value your point of view. I have been surfing online greater than 3 hours as of late, but I never found any attention-grabbing article like yours. It is lovely price enough for me. In my opinion, if all web owners and bloggers made just right content as you probably did, the internet might be much more helpful than ever before. My partner and I stumbled over here from a different website and thought I might check things out. I like what I see so now i’m following you. Look forward to exploring your web page again. I’ve read some excellent stuff here. Definitely value bookmarking for revisiting. I wonder how so much effort you place to create the sort of magnificent informative web site. You actually make it appear really easy along with your presentation however I in finding this topic to be actually something which I think I might never understand. It sort of feels too complicated and extremely vast for me. I am looking forward for your next put up, I’ll try to get the cling of it! Very nice post. I simply stumbled upon your blog and wished to mention that I’ve truly enjoyed surfing around your blog posts. In any case I will be subscribing for your feed and I hope you write once more soon! Hello! Someone in my Facebook group shared this website with us so I came to give it a look. I’m definitely enjoying the information. I’m book-marking and will be tweeting this to my followers! Fantastic blog and superb design. Hmm it seems like your website ate my first comment (it was super long) so I guess I’ll just sum it up what I wrote and say, I’m thoroughly enjoying your blog. I as well am an aspiring blog blogger but I’m still new to everything. Do you have any tips for novice blog writers? I’d really appreciate it. Excellent goods from you, man. I have understand your stuff previous to and you’re just too wonderful. I actually like what you have acquired here, really like what you are stating and the way in which you say it. You make it entertaining and you still care for to keep it wise. I cant wait to read much more from you. This is really a tremendous web site. Pretty great post. I simply stumbled upon your weblog and wished to mention that I have truly enjoyed browsing your blog posts. After all I’ll be subscribing on your feed and I hope you write once more very soon! Thank you for sharing excellent informations. Your site is so cool. I am impressed by the details that you’ve on this website. It reveals how nicely you understand this subject. Bookmarked this web page, will come back for extra articles. You, my friend, ROCK! I found simply the information I already searched all over the place and simply could not come across. What a perfect website. That is the suitable blog for anybody who wants to seek out out about this topic. You realize so much its almost exhausting to argue with you (not that I truly would need…HaHa). You definitely put a new spin on a topic thats been written about for years. Great stuff, just great! Do you have a spam problem on this website; I also am a blogger, and I was wanting to know your situation; many of us have developed some nice methods and we are looking to swap methods with other folks, be sure to shoot me an e-mail if interested. Throughout this awesome design of things you’ll receive an A+ with regard to effort. Where you lost us was on all the particulars. As it is said, the devil is in the details… And that could not be much more accurate at this point. Having said that, permit me say to you just what did do the job. Your article (parts of it) can be incredibly powerful and that is probably the reason why I am making the effort in order to opine. I do not make it a regular habit of doing that. 2nd, even though I can see the leaps in logic you make, I am not convinced of exactly how you appear to unite your points that make the conclusion. For right now I will yield to your position however trust in the near future you actually connect your facts much better. I precisely desired to thank you so much once again. I am not sure what I could possibly have achieved without those tips and hints provided by you concerning my subject matter. It became the scary crisis for me personally, but finding out a new well-written style you treated it took me to leap for gladness. I’m happy for your guidance and even wish you recognize what an amazing job your are accomplishing instructing men and women with the aid of your webpage. Most probably you haven’t encountered all of us. Admiring the commitment you put into your blog and in depth information you present. It’s awesome to come across a blog every once in a while that isn’t the same old rehashed information. Wonderful read! I’ve saved your site and I’m adding your RSS feeds to my Google account. I have to show my admiration for your generosity giving support to people that must have guidance on the content. Your personal commitment to passing the solution all around turned out to be incredibly useful and have in every case encouraged folks like me to arrive at their dreams. Your valuable hints and tips implies so much a person like me and a whole lot more to my fellow workers. Thanks a ton; from each one of us. Heya i’m for the first time here. I came across this board and I to find It truly helpful & it helped me out much. I hope to give one thing again and help others such as you helped me. There are certainly a lot of particulars like that to take into consideration. That is a great point to convey up. I provide the ideas above as common inspiration but clearly there are questions like the one you convey up where the most important factor might be working in sincere good faith. I don?t know if greatest practices have emerged round things like that, but I’m sure that your job is clearly identified as a fair game. Both girls and boys feel the affect of only a moment’s pleasure, for the rest of their lives. I’m now not positive the place you are getting your info, but great topic. I needs to spend some time learning much more or working out more. Thanks for great information I used to be on the lookout for this info for my mission. Greetings! I’ve been reading your web site for a while now and finally got the bravery to go ahead and give you a shout out from Humble Texas! Just wanted to mention keep up the great job! I am writing to make you know of the notable discovery our princess developed visiting your blog. She came to understand a good number of issues, most notably how it is like to have an awesome coaching style to let other folks very easily know precisely selected complicated things. You undoubtedly surpassed our own expected results. Thank you for offering such warm and friendly, trusted, educational and even unique tips on your topic to Jane. Simply wish to say your article is as astonishing. The clearness for your publish is just great and that i can think you are a professional in this subject. Well along with your permission allow me to take hold of your feed to stay updated with forthcoming post. Thanks 1,000,000 and please carry on the gratifying work. Youre so cool! I dont suppose Ive learn something like this before. So nice to seek out someone with some authentic thoughts on this subject. realy thanks for beginning this up. this website is one thing that is wanted on the web, somebody with a little originality. helpful job for bringing one thing new to the web! My partner and I absolutely love your blog and find most of your post’s to be what precisely I’m looking for. Would you offer guest writers to write content in your case? I wouldn’t mind producing a post or elaborating on some of the subjects you write related to here. Again, awesome site! F*ckin’ amazing issues here. I’m very glad to see your article. Thank you so much and i’m having a look forward to touch you. Will you kindly drop me a mail? Wow, marvelous blog layout! How long have you been running a blog for? you make blogging look easy. The whole glance of your site is fantastic, as well as the content material! I’ve been browsing on-line greater than three hours nowadays, yet I never found any interesting article like yours. It is beautiful value sufficient for me. In my opinion, if all site owners and bloggers made good content as you probably did, the net will be a lot more helpful than ever before. I am only writing to make you understand what a beneficial experience my girl had viewing your web site. She discovered a wide variety of pieces, which include what it’s like to have a wonderful coaching mindset to get the others clearly master a variety of advanced topics. You actually surpassed visitors’ expectations. Thanks for showing the beneficial, dependable, educational as well as unique guidance on that topic to Emily. Aw, this was a really nice post. In concept I want to put in writing like this additionally – taking time and actual effort to make a very good article… however what can I say… I procrastinate alot and on no account seem to get one thing done. Someone necessarily lend a hand to make severely posts I’d state. This is the very first time I frequented your web page and thus far? I surprised with the research you made to make this particular submit incredible. Wonderful process! Admiring the hard work you put into your blog and in depth information you provide. It’s nice to come across a blog every once in a while that isn’t the same out of date rehashed material. Excellent read! I’ve saved your site and I’m adding your RSS feeds to my Google account.